A cataract is a progressive clouding of the natural crystalline lens in the eye. Symptoms include excessive glare and blurred vision. If your symptoms warrant, your eye care professional may recommend cataract surgery. Here at Ophthalmic Consultants of Rockland, we offer the latest technology in the treatment of cataracts. 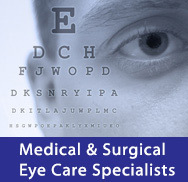 All of our surgeons are experienced in same-day, no-stitch cataract surgery. Recent advances in the field include treatment of astigmatism at the time of surgery utilizing limbal relaxing incisions and toric intraocular lenses, as well as multifocal and accomodating intraocular lens implants. These advances can reduce patients need for glasses after cataract surgery. We are proud to offer all of these options for our patients. Please speak to your surgeon to find out which option suits your needs best. For more information, click here, or visit the links below.